It’s important to familiarize yourself with the essential fire protection terms. fire protection through the use of a water supply. 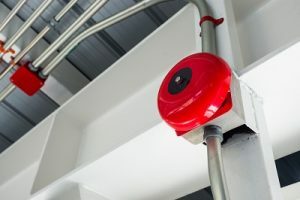 Essentially, what this means is that water pressure and water flow are based on the connection between the fire sprinklers and the system within your business. When it comes to dry systems, the system works as water is contained by air pressure. In fact, the actual system piping is dry compared to the wet systems (as one would expect) and filled with compressed air. When a sprinkler head happens to discharge, this releases the air pressure and opens up the valve which then allows the water to flow. Typically dry sprinkler systems end up getting installed in places that are subject to freezing. This entry was posted on Friday, September 7th, 2018 at 2:20 pm. Both comments and pings are currently closed.